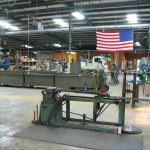 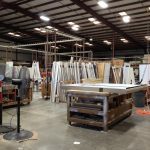 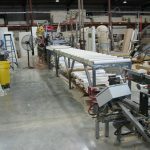 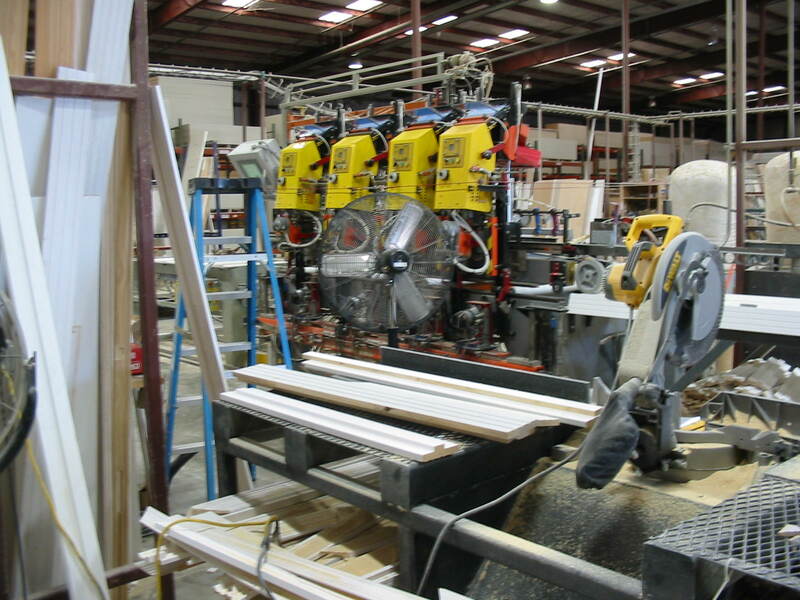 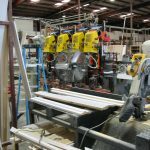 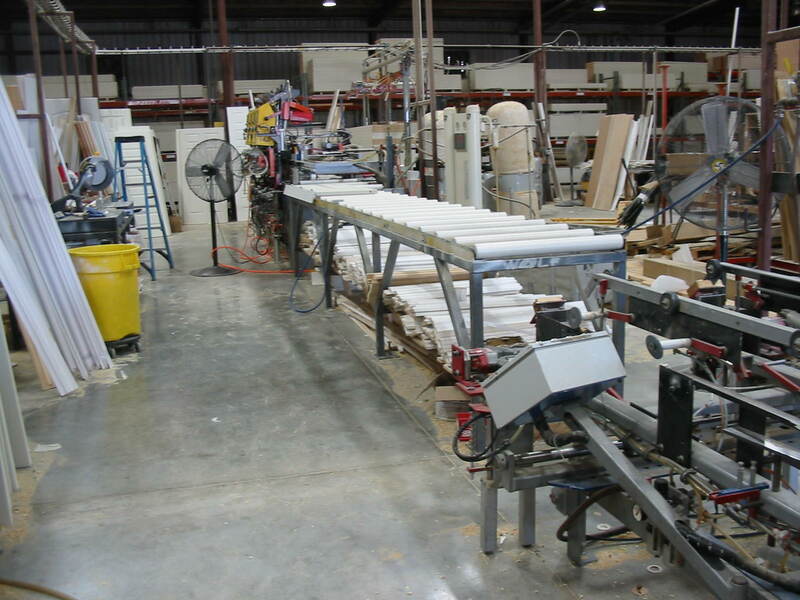 Langboard OSB, a Langdale Company, specializes in manufacturing “Oriented Strand Board”. 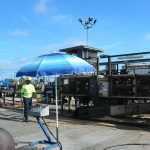 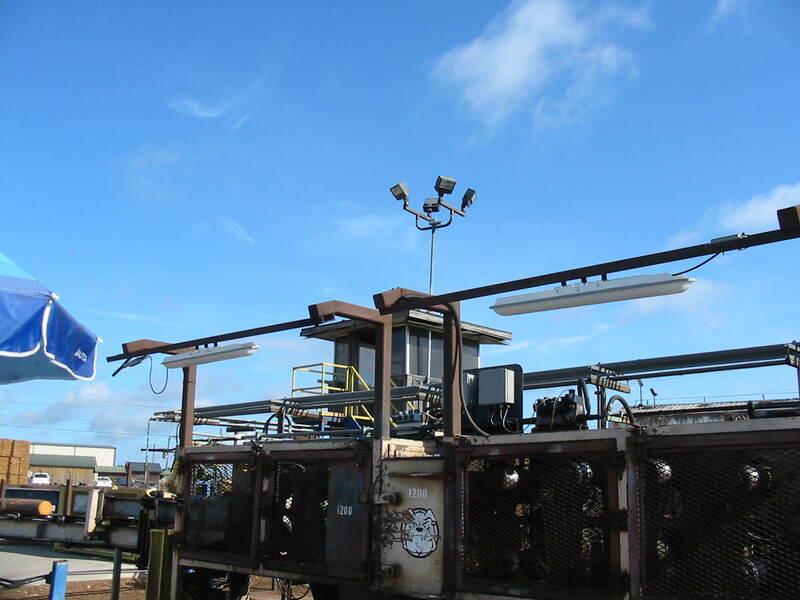 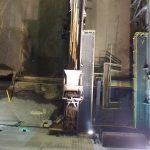 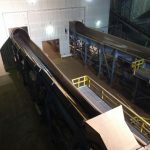 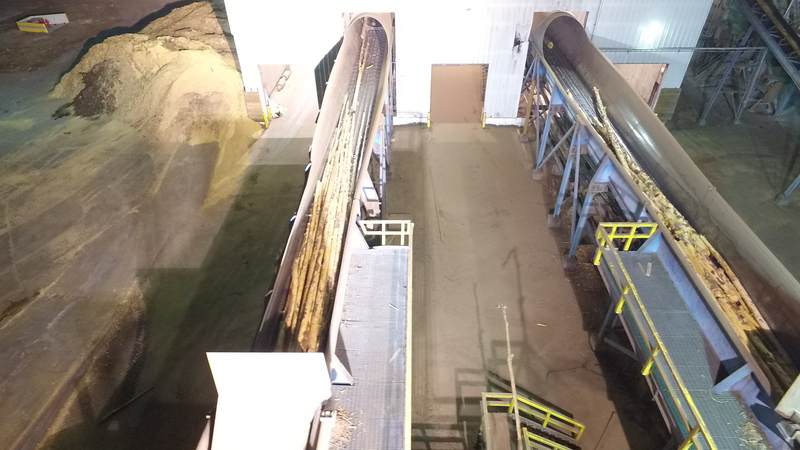 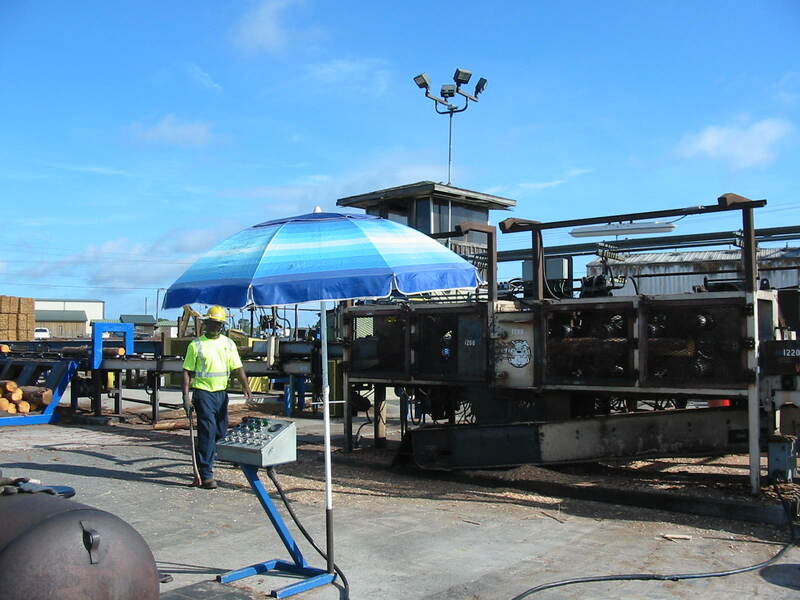 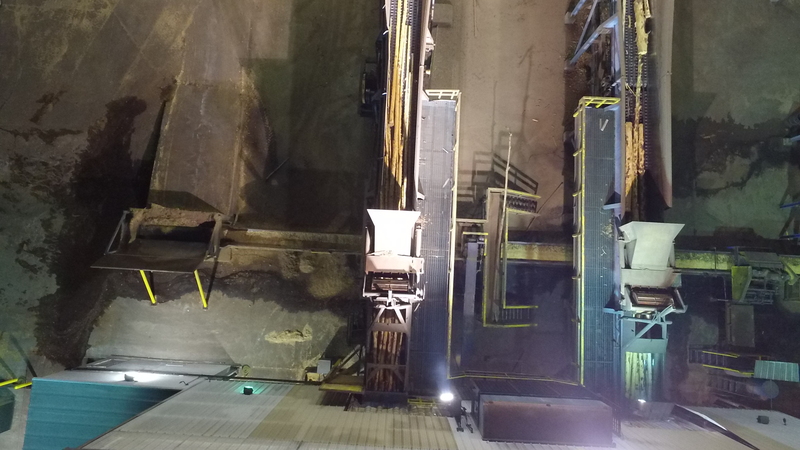 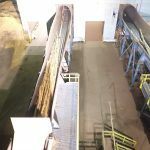 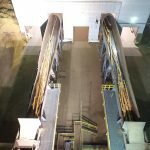 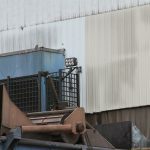 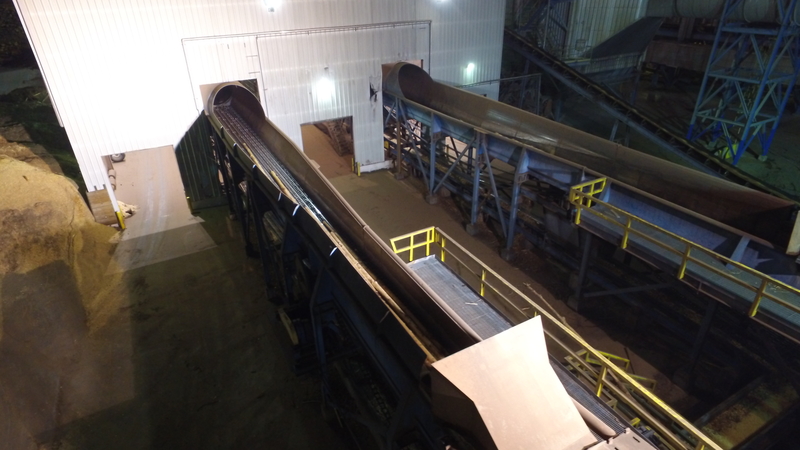 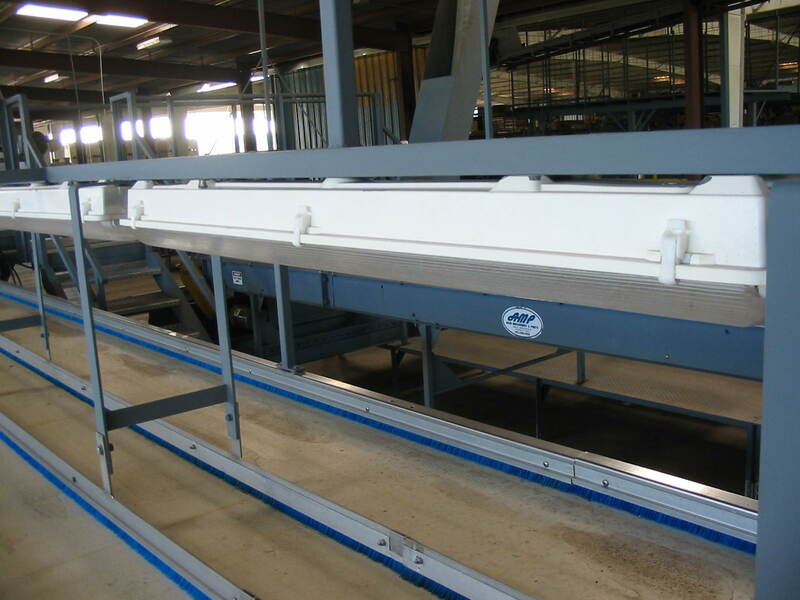 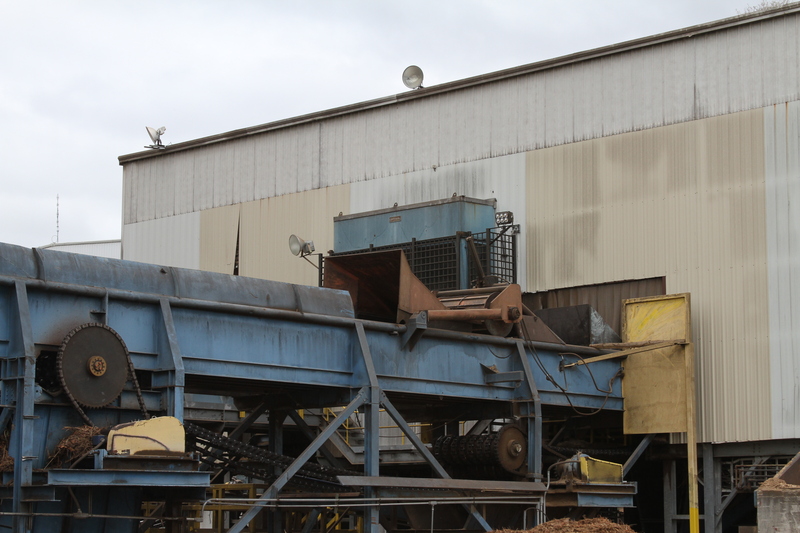 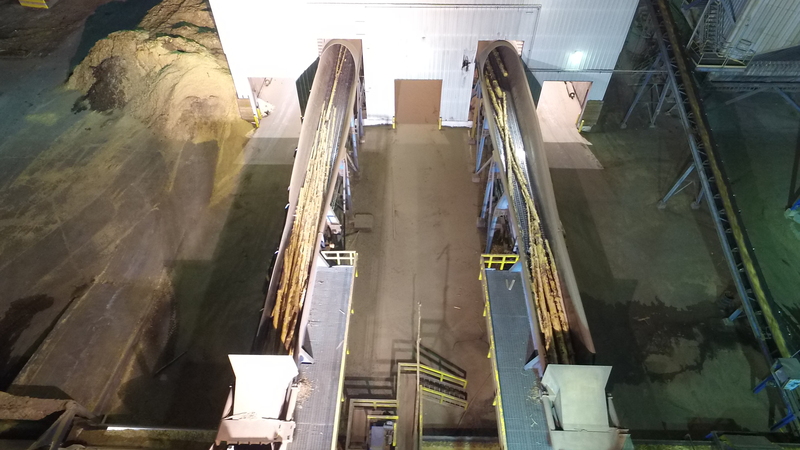 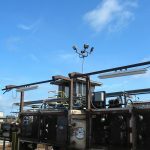 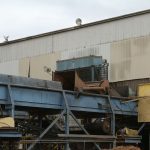 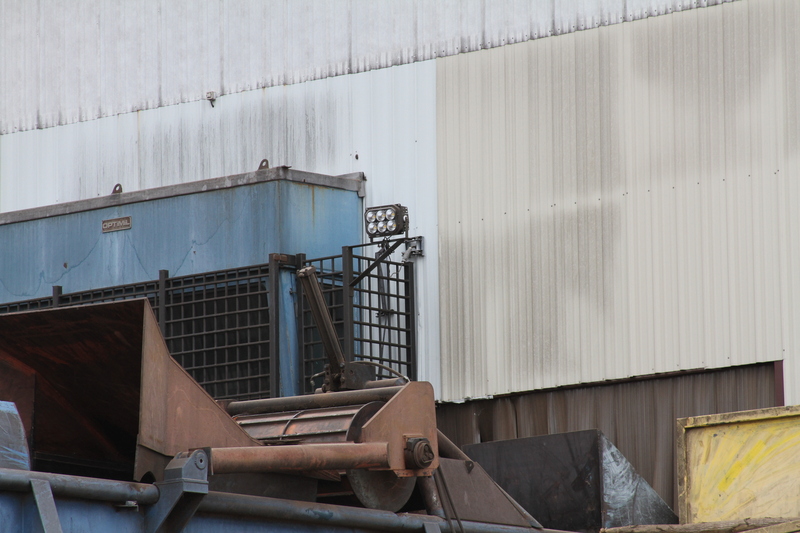 These photos show the conveyor chutes transporting Southern yellow pine logs through debarking drums and across to another building to the flaker. 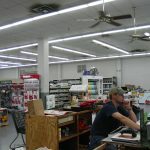 The left chute is well lit by a new Sonaray 250W Epsilon fixture with a 34 degree beam spread. 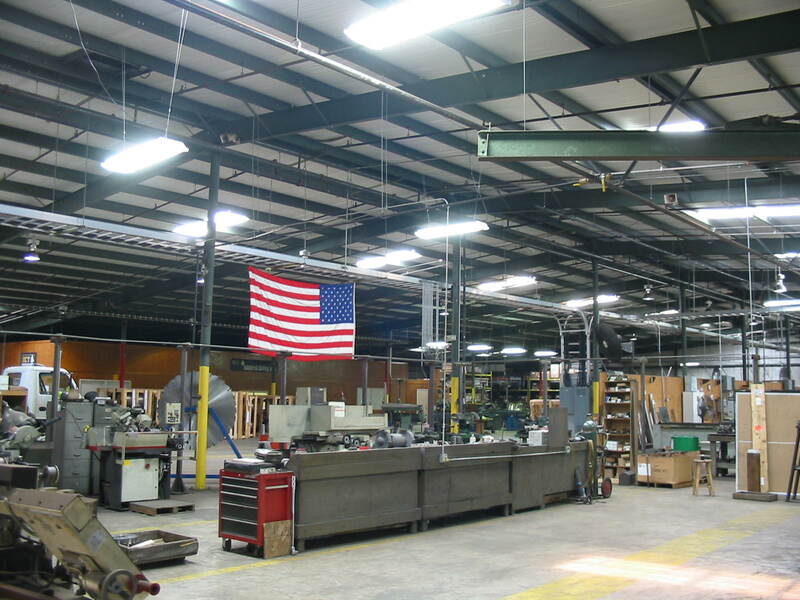 On the right, the chute is served by a 400W Metal Halide fixture. 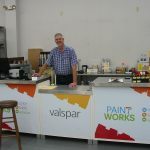 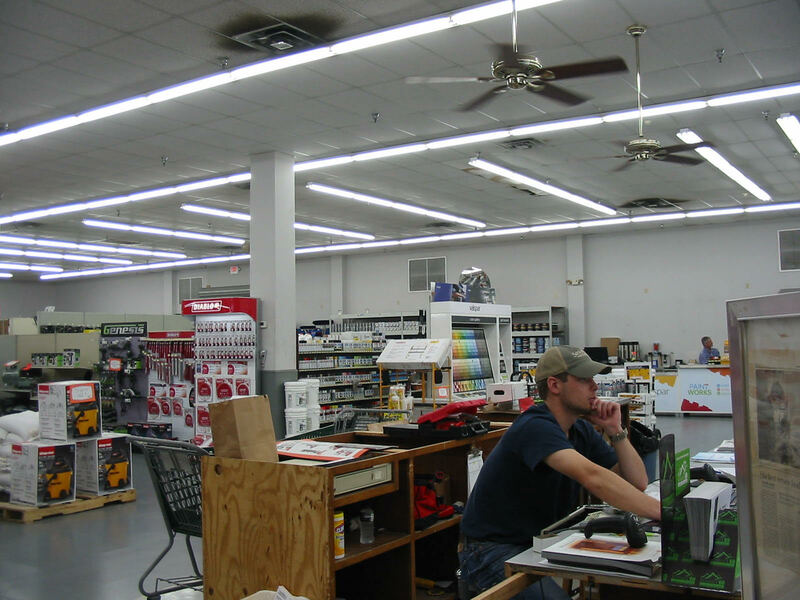 Southern Builders Supply has remodeled their sales showroom & added a multitude of exclusive products. 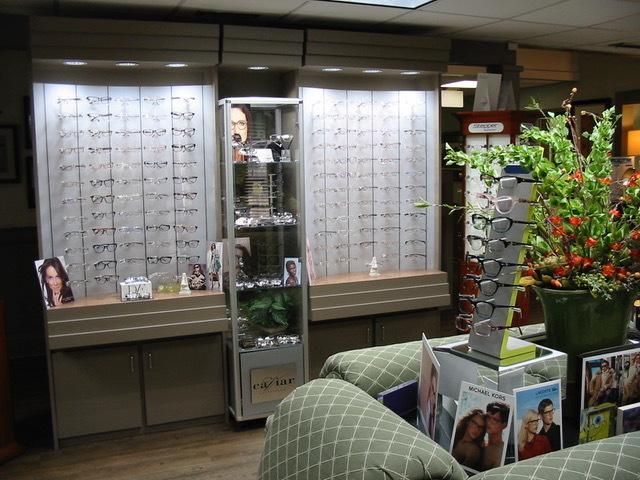 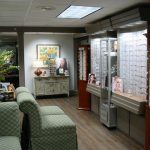 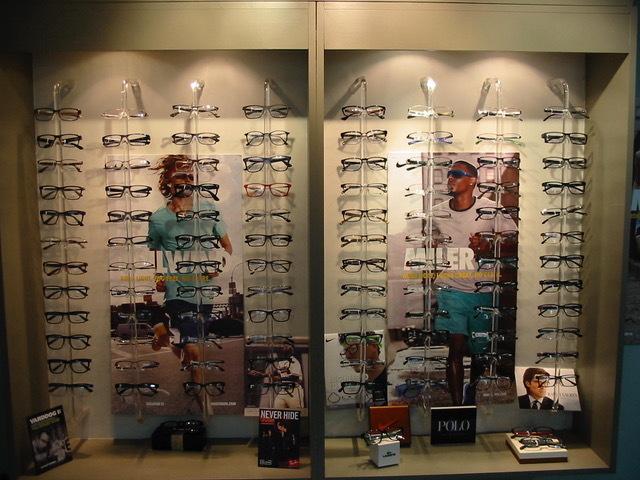 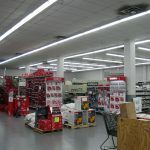 Pictured below is a quick look at their impressive showroom recently re-lamped by EnviroLight with full spectrum lamps. 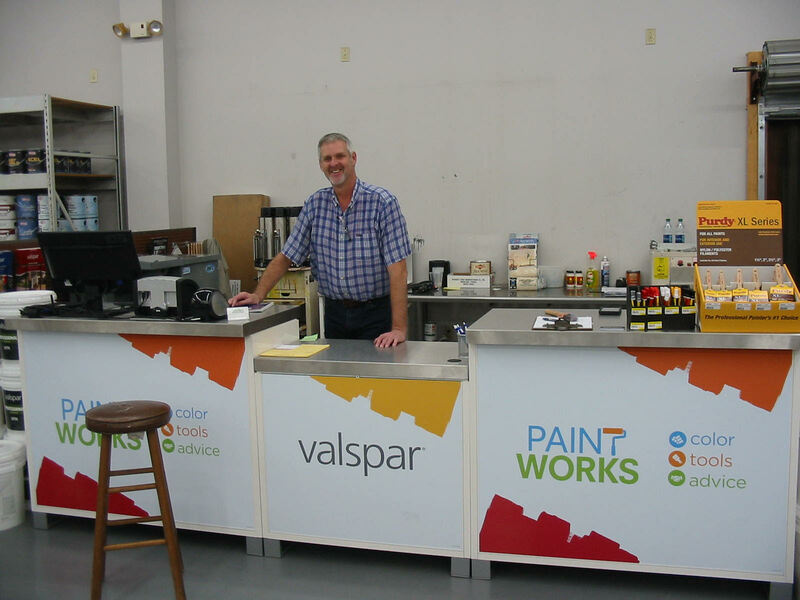 A highlight of the showroom is the new paint center hosted by Mr. Peacock himself. 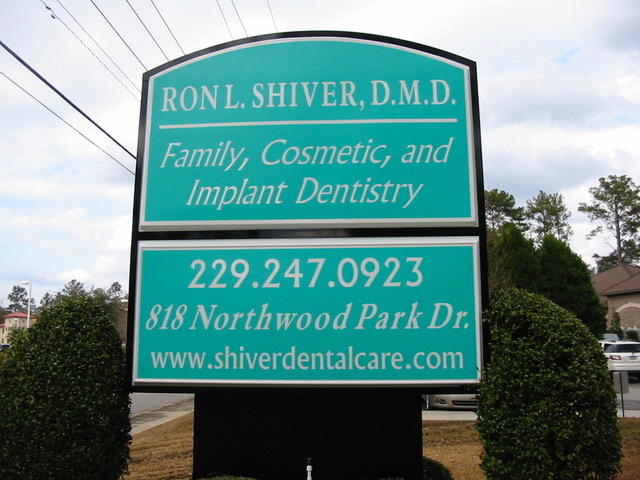 Go by and say hello! 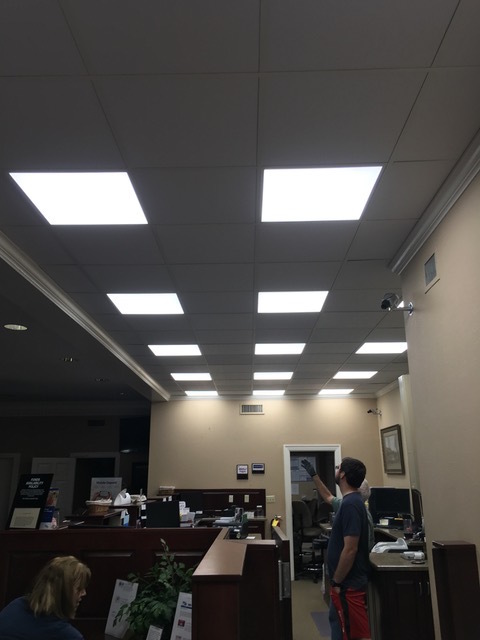 Walter Cowart, General Manager of ICT, is currently replacing all of the old Metal Halide High Bays in his plant is Quitman with LED Linear High Bay Luminaires. 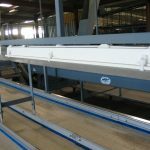 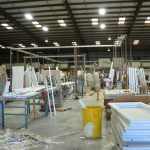 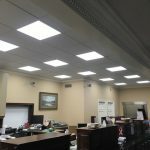 He is saving 50% per fixture in power usage, but the big news is that he can eliminate 4 older fixtures with every one LED High Bay that he installs. 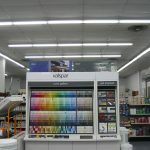 The new Linear High Bays do not require any on-going maintenance and they are guaranteed for 5 years. 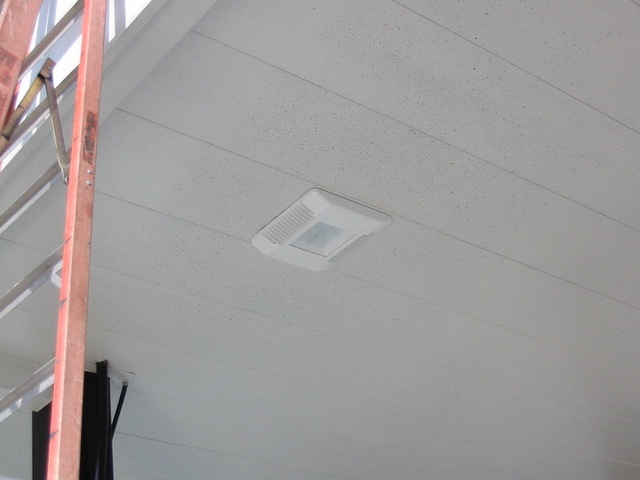 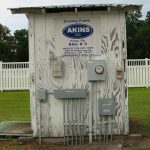 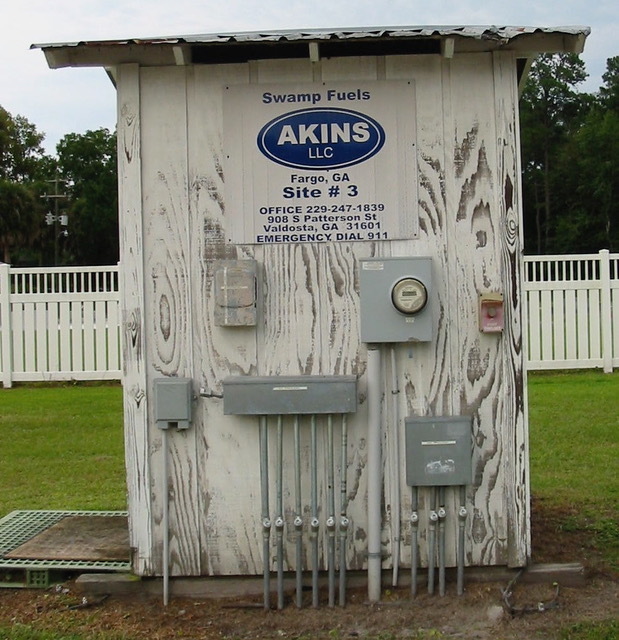 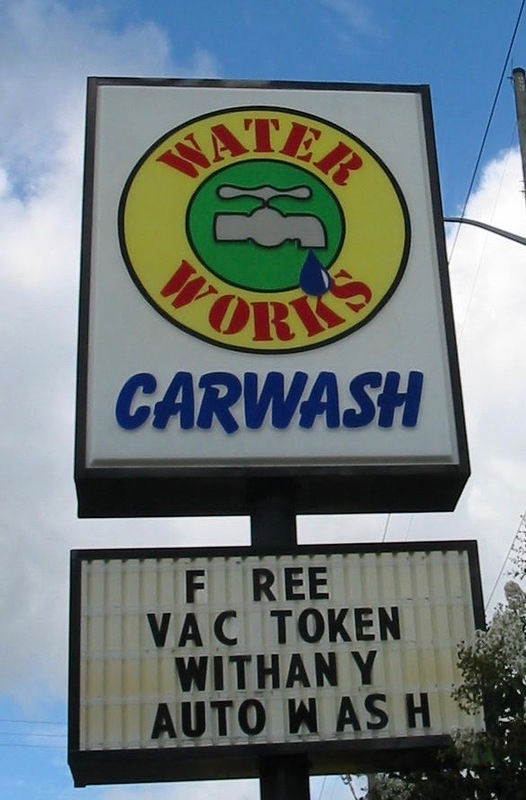 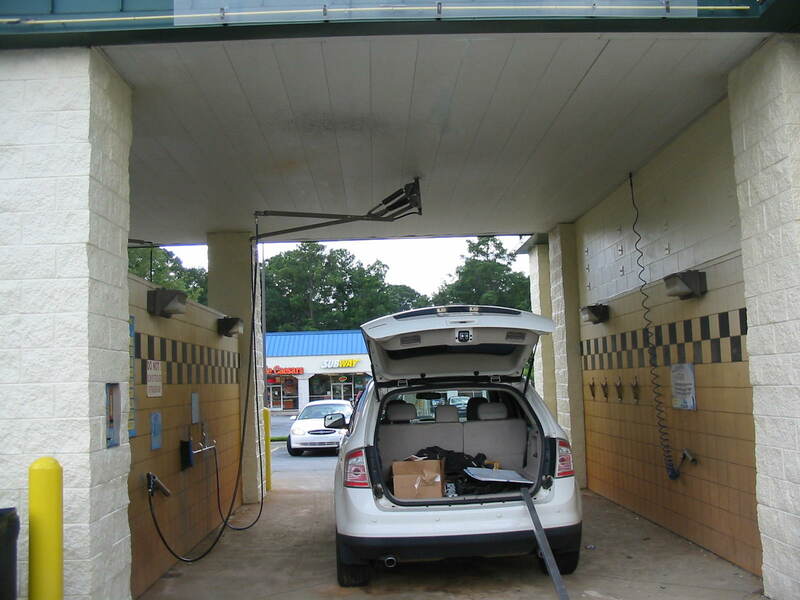 Brooks Akin’s Water Works Car Wash in Thomasville, GA needed to upgrade the lighting in the wash bays. 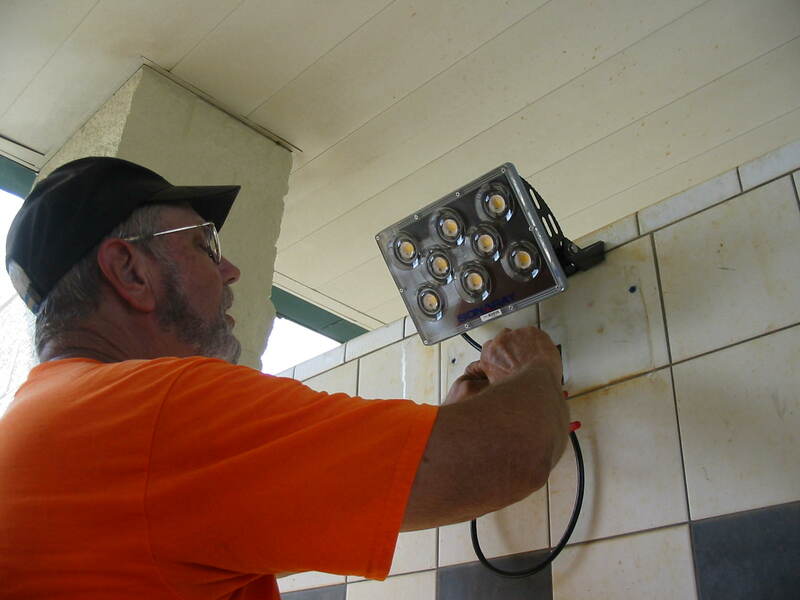 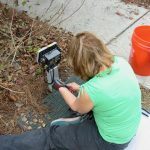 The old Metal Halide Wall Packs were badly corroded and no longer kept out water or bugs. 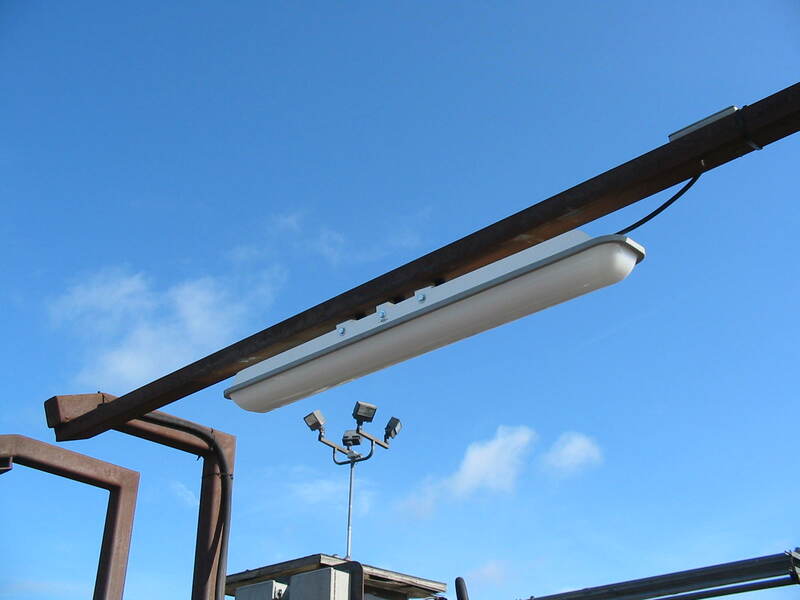 Sonaray all weather 60 Watt Flood Fixtures were chosen to replace the 200 Watt Metal Halide Wall Packs. 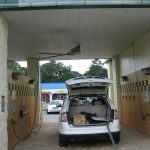 The 60 Watt Sonaray Floods are sealed LED units and able to withstand the continuous water and detergent experienced at a car wash. A total of 24 units were installed. 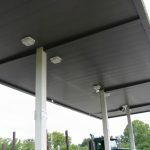 Sonaray’s 80 Watt LED Long Low Bay all weather sealed units were chosen to withstand the harsh outdoor elements as well as the tremendous vibration involved in this very important step in the processing of a fence post. 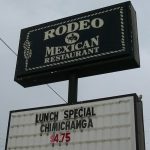 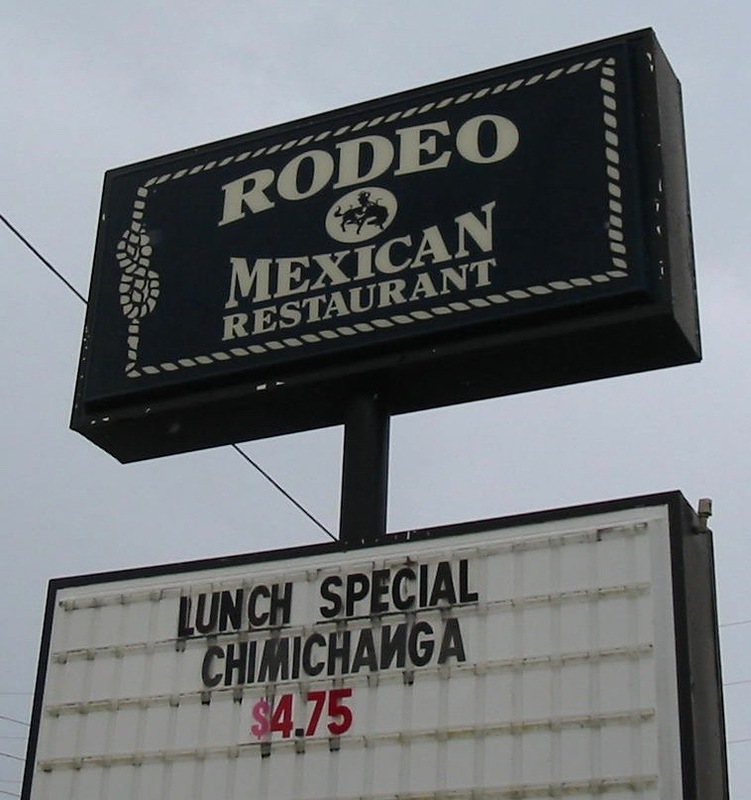 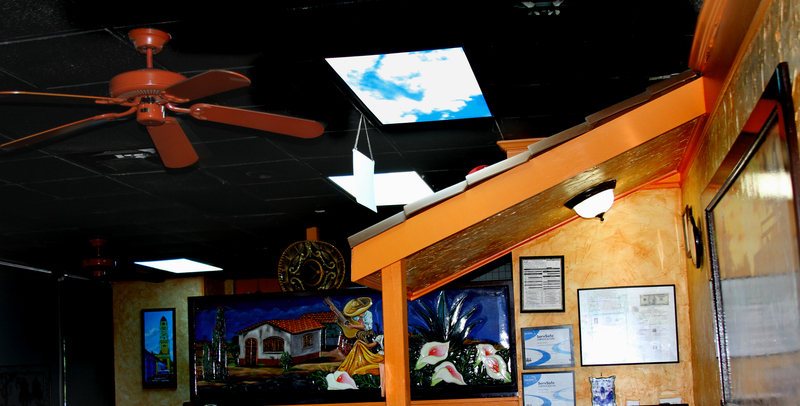 Cesar Araiza, the General Manager of The Rodeo restaurant in Lake Park GA got beautiful new furniture and murals for their very popular Mexican restaurant. 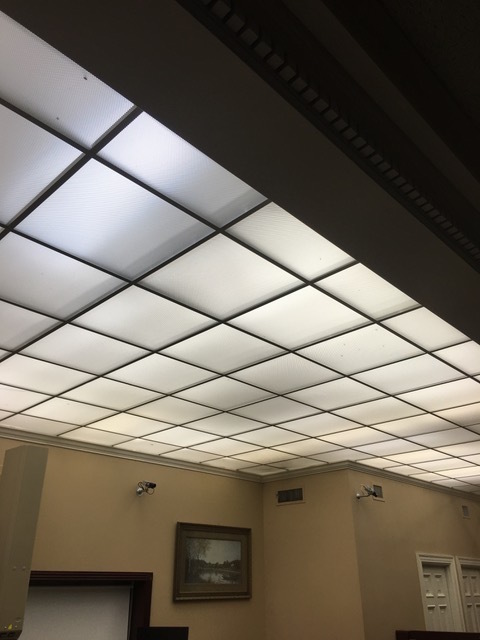 To complete the remodel, they replaced all the lights in the dining area with blue cloud skylight LED Panels. 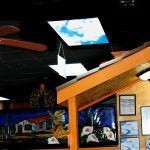 Not only did the new fixtures compliment the new furniture, but they provided just the right atmosphere for the warm, comfortable dining experience we’ve come to expect from one of Leo Escalera’s restaurants. 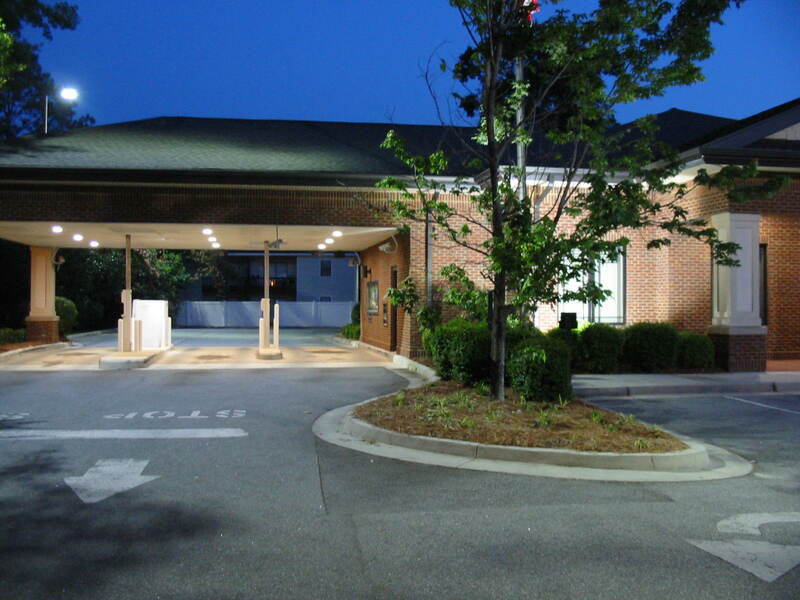 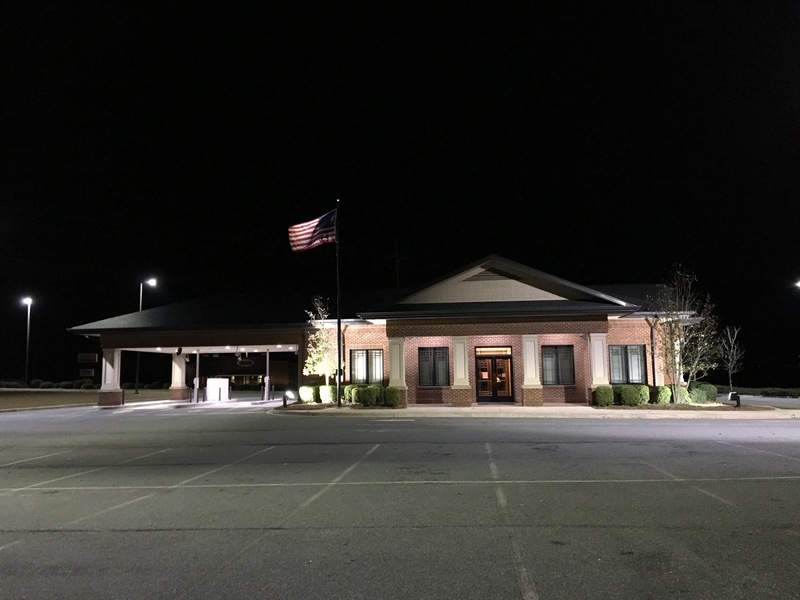 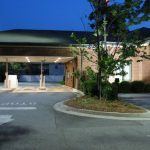 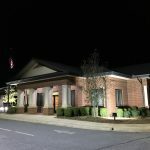 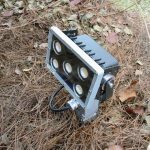 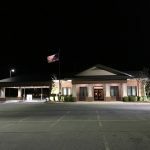 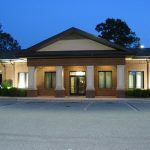 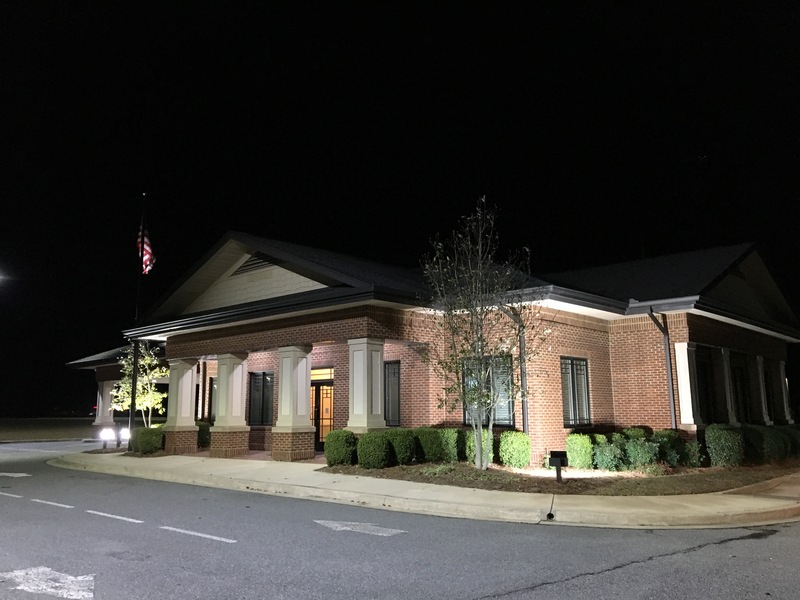 The Commercial Banking Company’s branch office at Baytree Road in Valdosta was in need of upgrading their outdoor parking lot and landscape lighting. 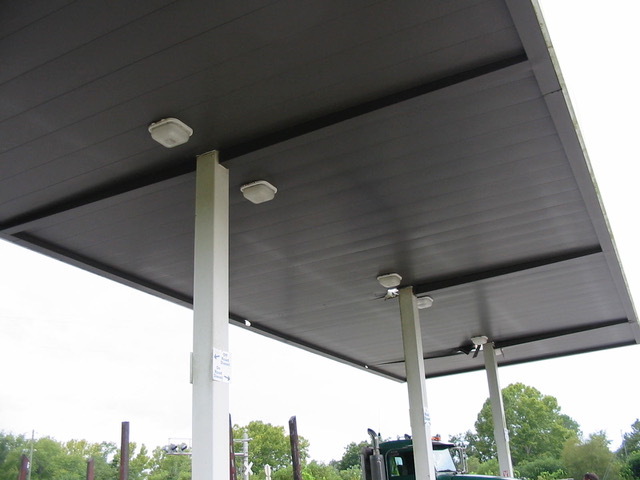 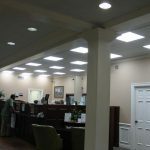 They chose to replace all of the older metal halide technology with Sonaray LED lighting. 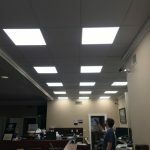 Most of the lighting was not working at the time of replacement. 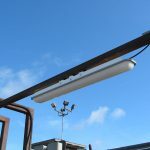 A power audit was conducted and a photometric sample was provided to select the right luminaire for the desired result. 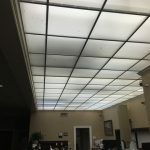 The pictures below tell the rest of the story! 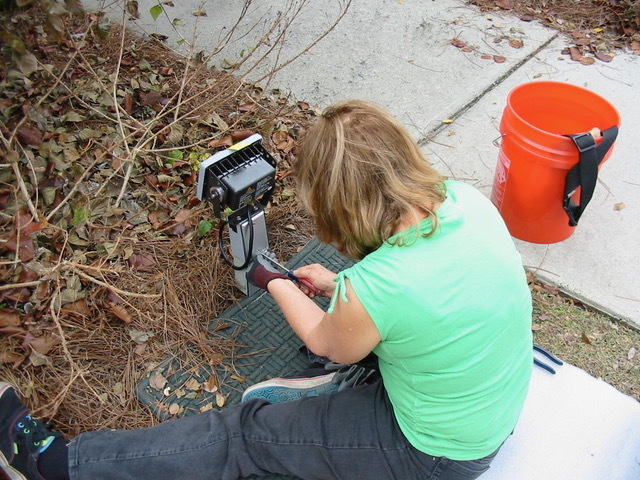 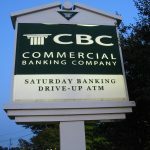 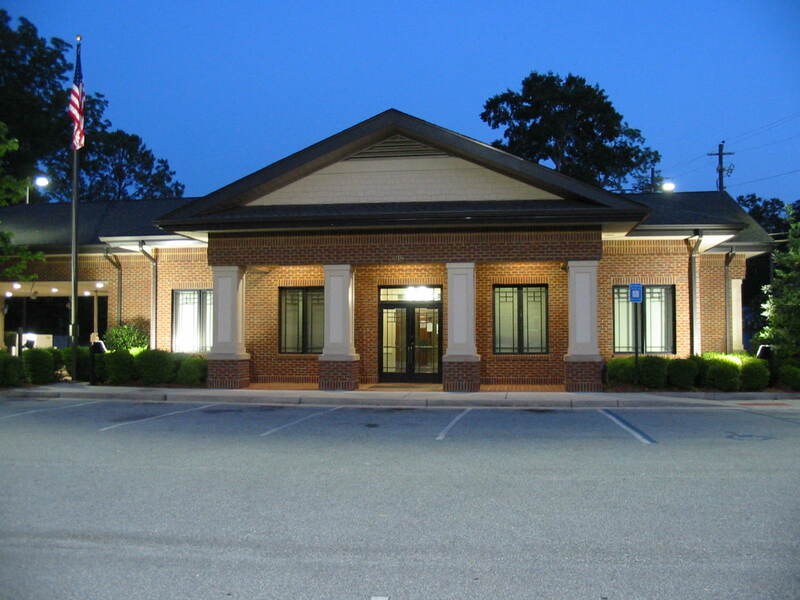 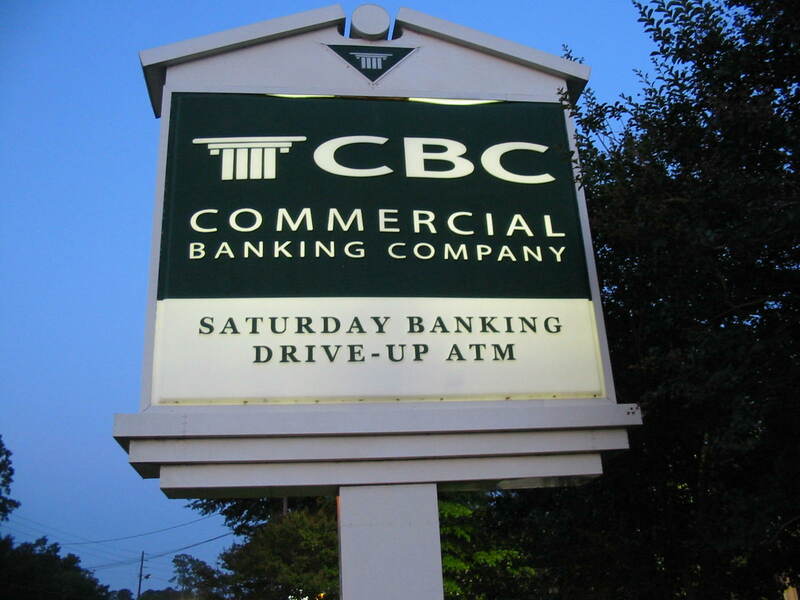 The Commercial Banking Company Branch in Moultrie needed to upgrade all of their outside parking & landscape lighting. 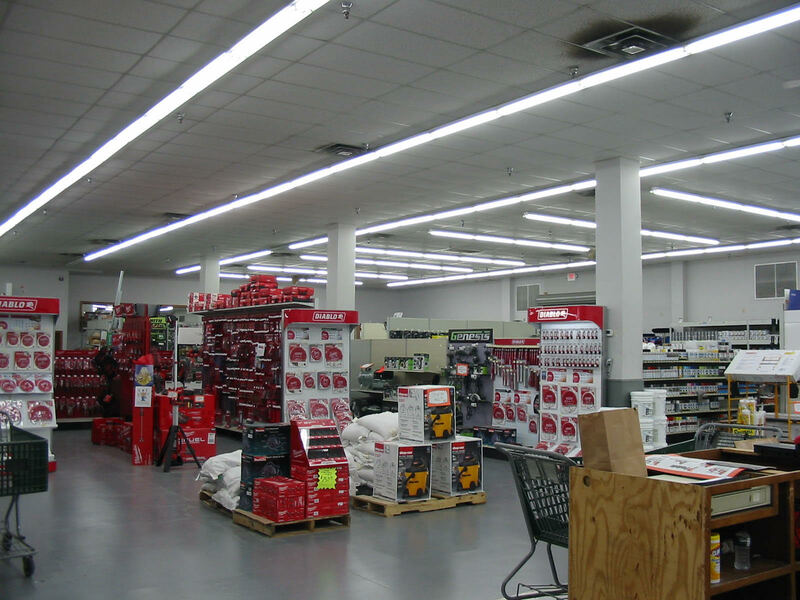 We replaced all of the older technology Metal Halides with Sonaray LED lights. 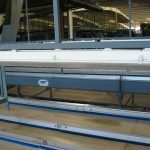 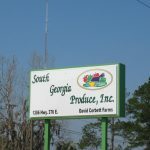 8’ LED Vapor Tight units are used on the produce sorting lines to insure quality control & provide maximum full spectrum color rendering illumination for the staff. 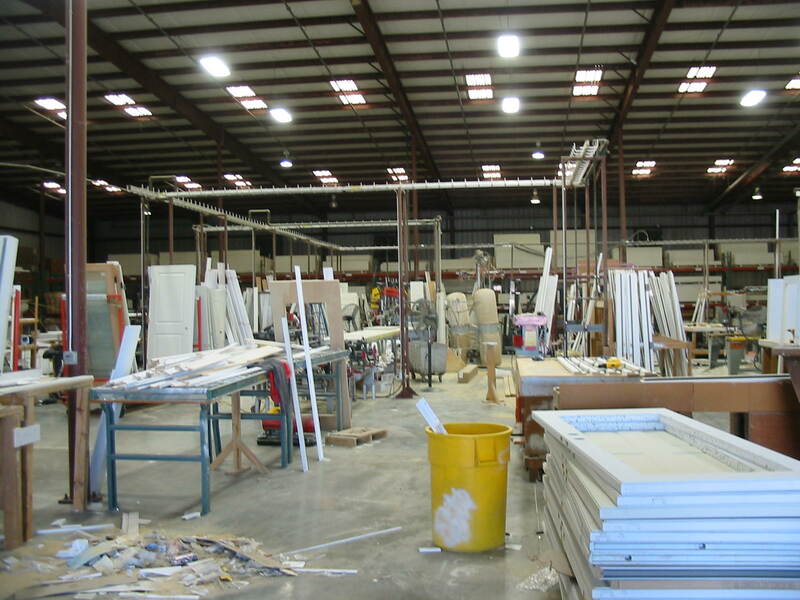 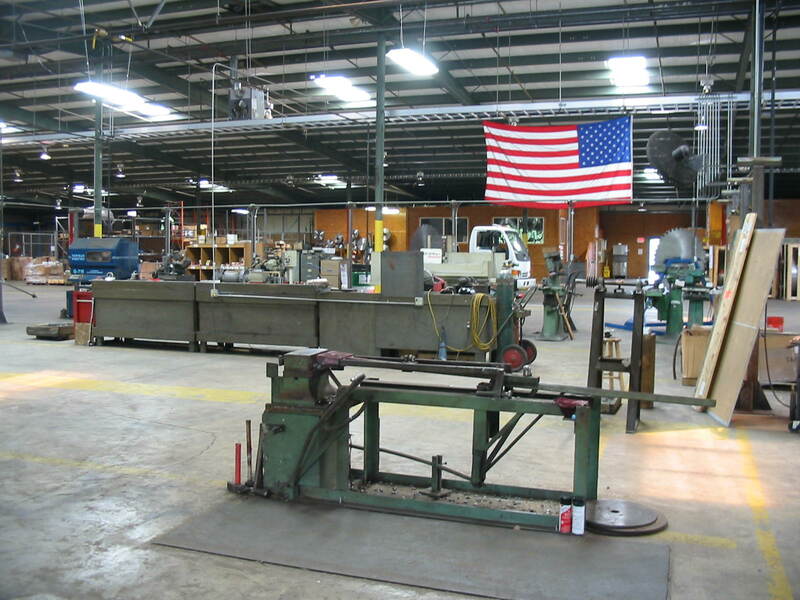 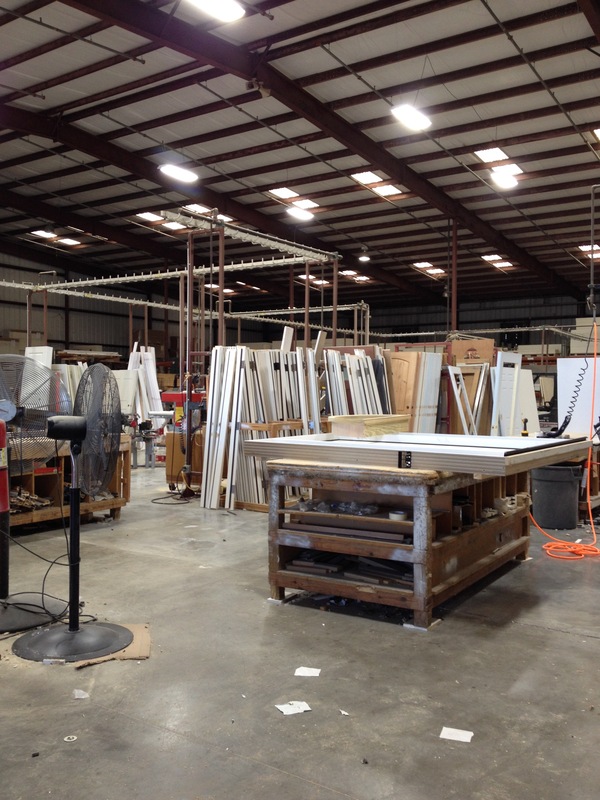 The production area of the TLC Door Plant operation had inadequate lighting for the required assembly. 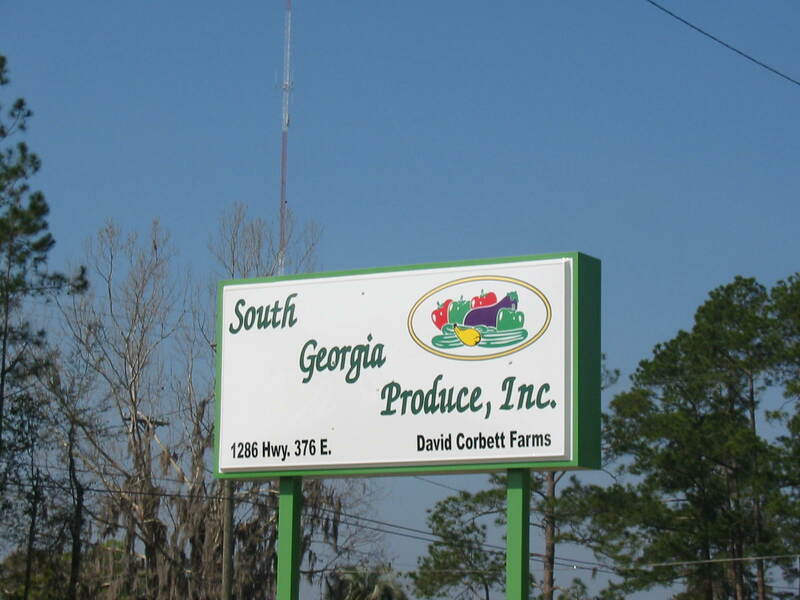 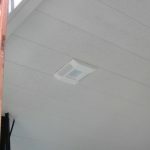 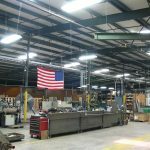 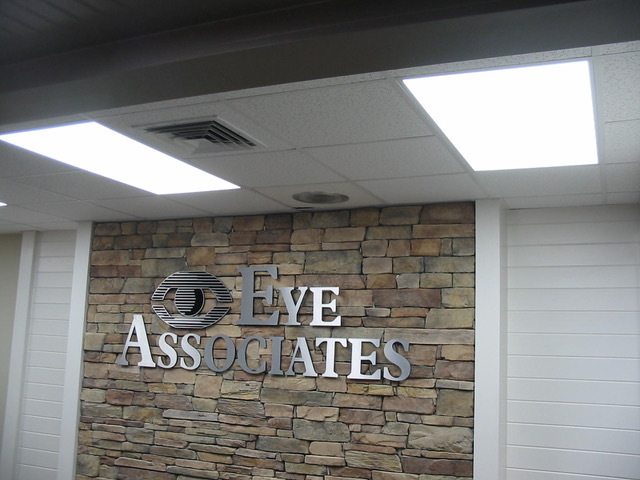 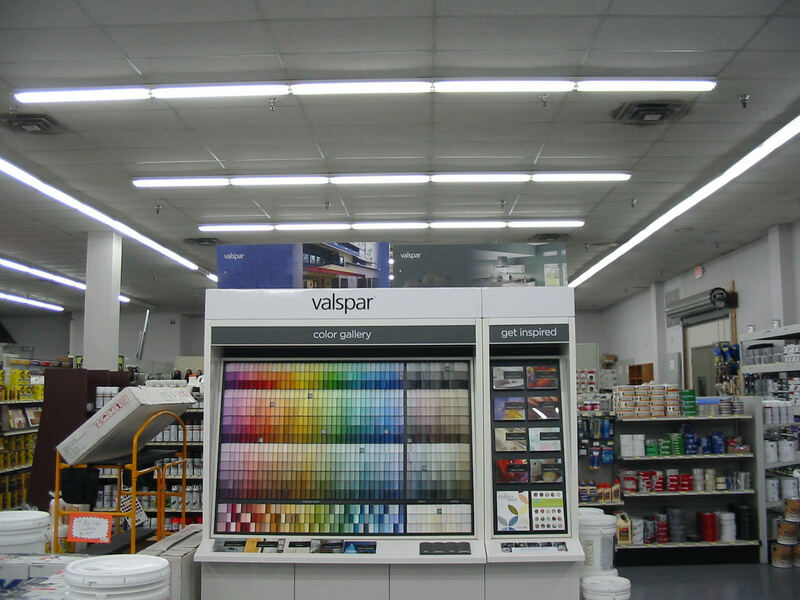 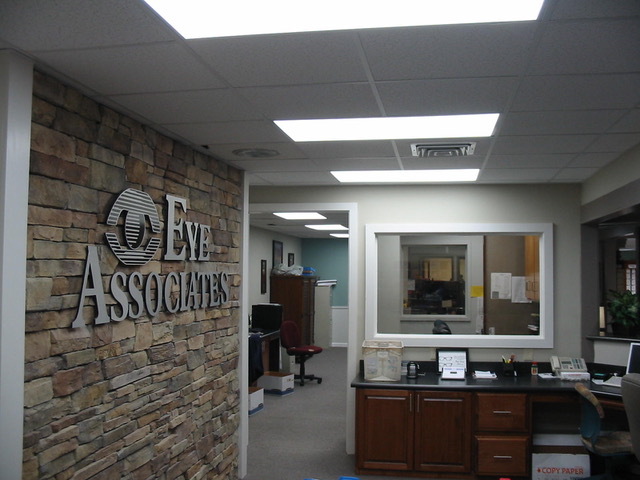 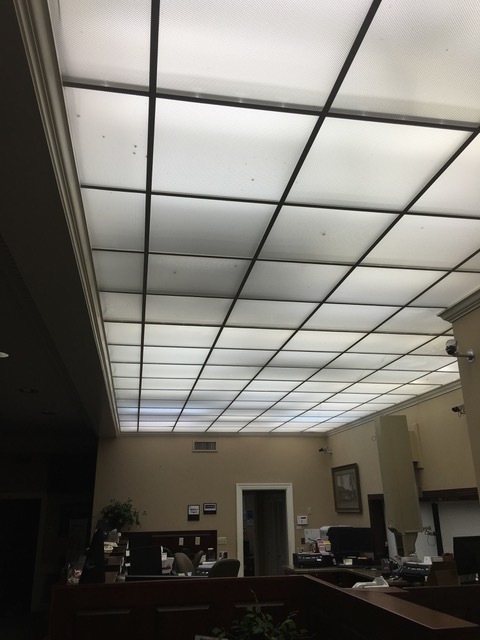 Mr. Olen Cain, the plant manager, chose the LED Linear Sky Bay Luminaire units to cover the area. 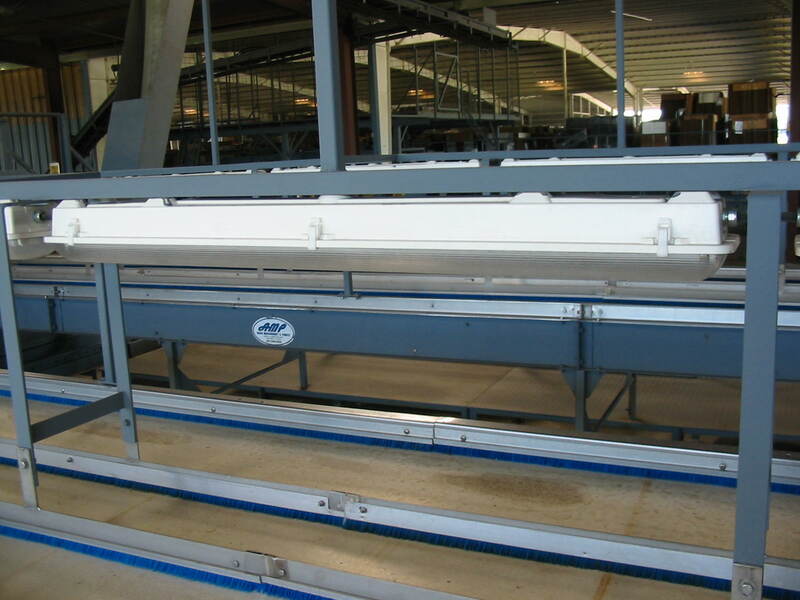 Twelve Sky Bays gave him all the light needed to greatly enhance the necessary assembly. 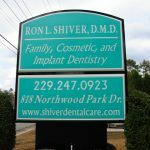 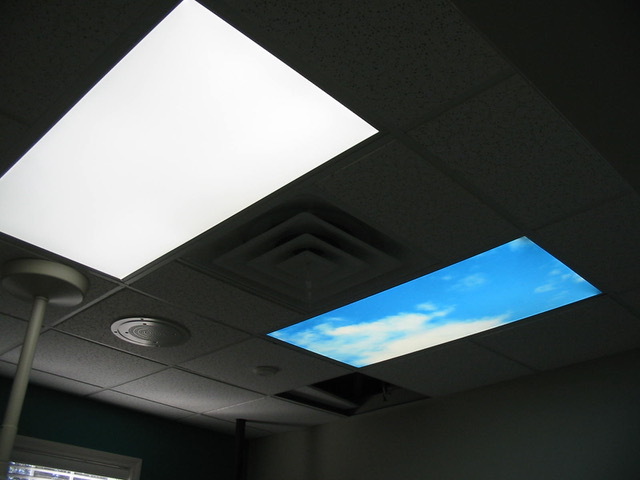 We also installed new LED panels in a dental hygienist room. 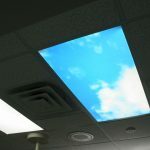 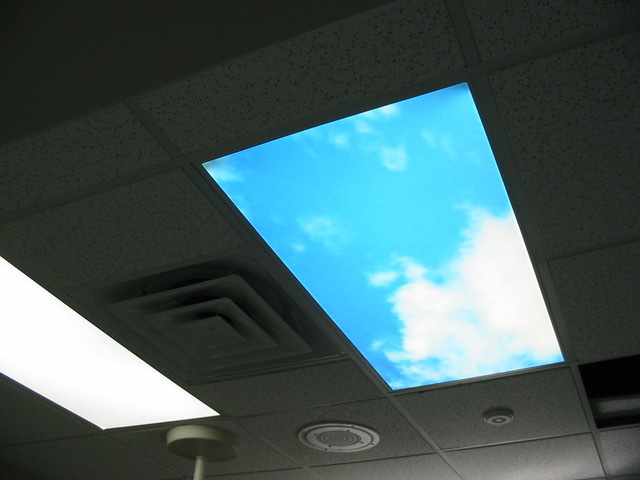 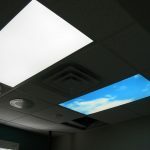 Many of his patients commented that they felt more relaxed underneath the Sky Light Panel. 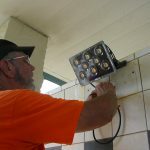 Lighting over the teller line at the N. Oak Street First Federal had always been an issue to service & maintain. 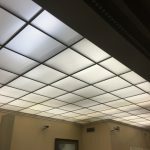 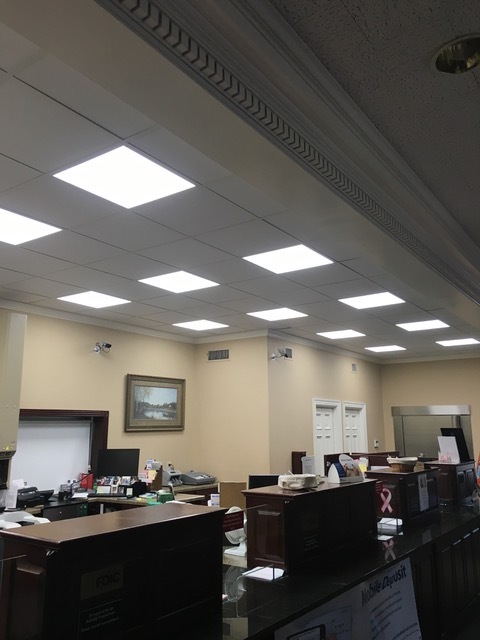 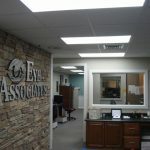 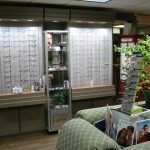 We recently replaced the ceiling tiles & changed the old fluorescent strip lights to LED 2X2 Flat Panels to completely change the looks & greatly improve the lighting over the teller area. 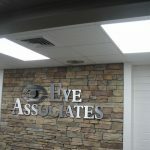 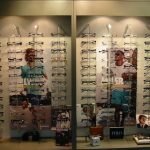 The new LED panels emit no UV light, contain no mercury & require no maintenance. 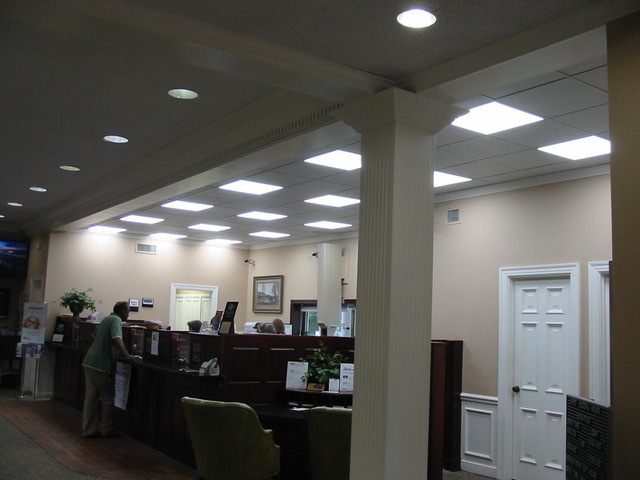 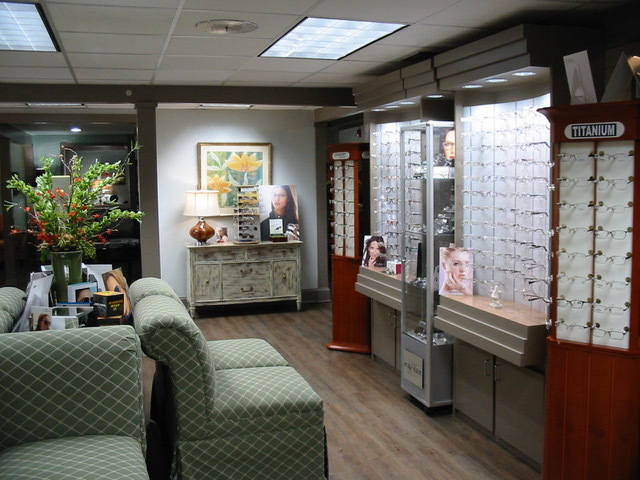 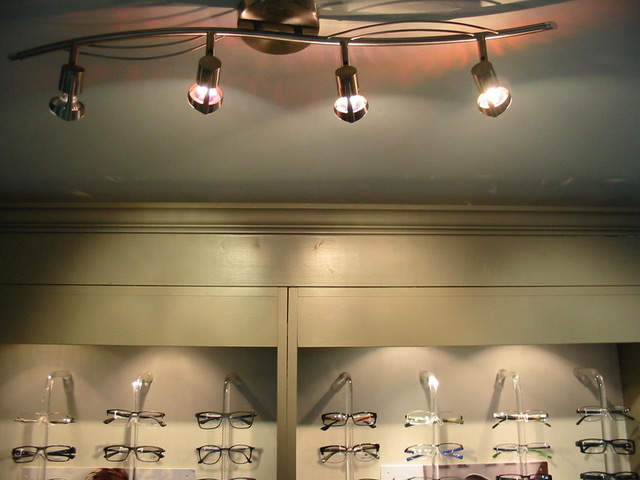 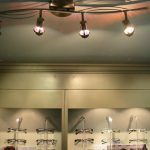 Dr. Albert Gonzales recently upgraded the old magnetic fluorescent lighting with new LED Light Panels & LED Tubes. 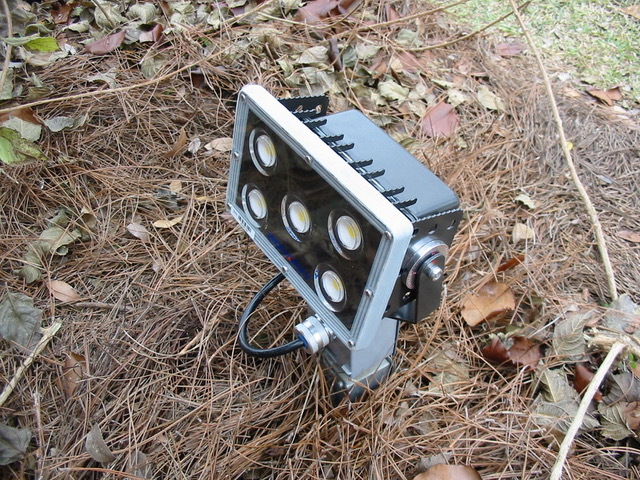 The upgrade also included changing out the high heat halogen screw-in bulbs with low wattage LED screw-ins & MR-16 LEDs.